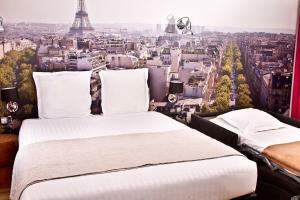 Stella Etoile is situated in the heart of Paris. 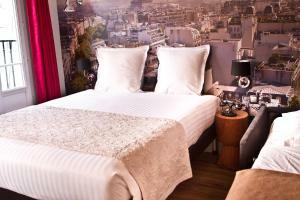 It is just 200 metres L’Arc de Triomphe and a 5-minute walk from the Champs Elysees. 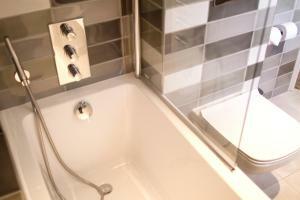 It offers modern accommodation and free WiFi access throughout. 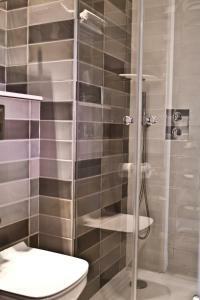 The en suite guest rooms at Stella Etoile are decorated in a contemporary style. Modern facilities include a satellite TV and a mini bar. Guests can have a drink at the bar and read in the hotel’s library. 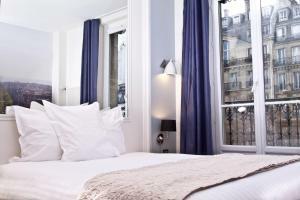 Hôtel Stella is 90 metres from the Metro and RER Station Charles de Gaulle – Etoile, which can take guests to the other famous sights in Paris. Please note that for non-refundable reservations, the property will request the credit card used at the time of booking and valid identification. If you are unable to provide them, please contact the property before arrival. Contact details can be found on the booking confirmation. Please note that your credit card will be pre-authorised before arrival. Please note that non-refundable reservations will be fully charged. Please note that 1 child up to 2 years old can stay for free in the room. A baby cot can be accommodated upon request. When booking more than 4 rooms, the total price of the reservation will be charged and is non-refundable. 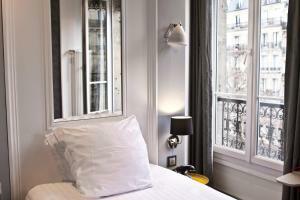 Decorated in a contemporary style, these small rooms have satellite TV and a minibar. They also have free toiletries in the en suite bathroom. Some of these rooms have a private balcony. Please note that a baby cot cannot be accommodated. Rate: € 97.00 ... € 415.00; select dates below to get current rates. 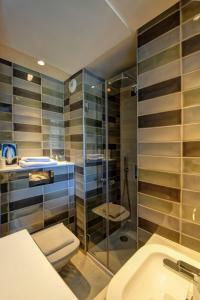 Decorated in a contemporary style, the rooms have satellite TV and a minibar. They also have free toiletries in the en suite bathroom. Guests are kindly asked to state their preference of a double or twin bed configuration when booking. 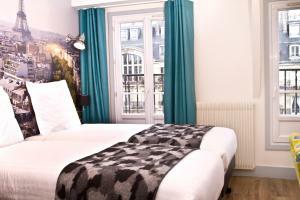 Decorated in a contemporary style, the rooms have satellite TV and a minibar. They also have free toiletries in the en suite bathroom. Located on the ground floor, this quadruple room features a electric kettle, air conditioning and soundproofing. This twin room has air conditioning, soundproofing and minibar.